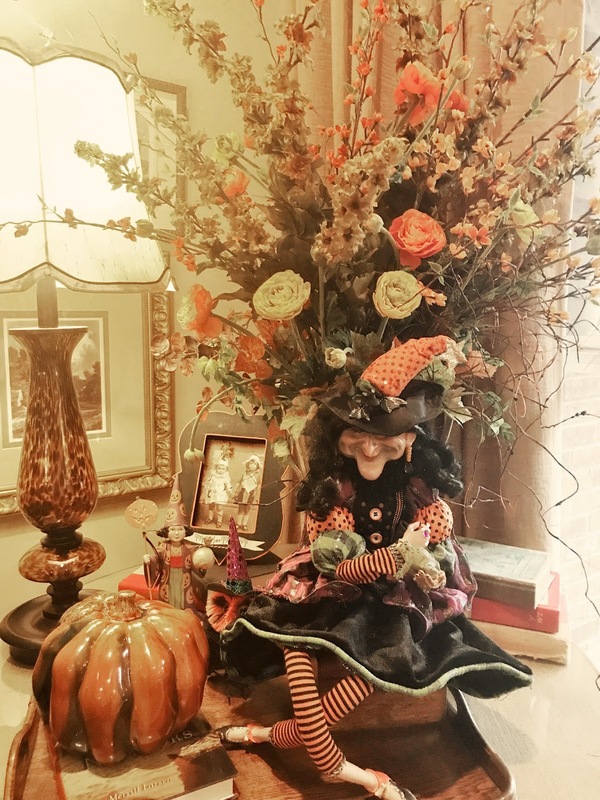 Welcome To Bonnes Amies! 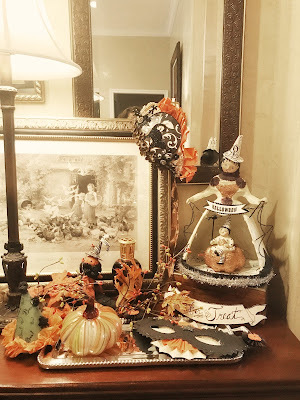 : A Fall Home Filled with Ghost & Goblins! 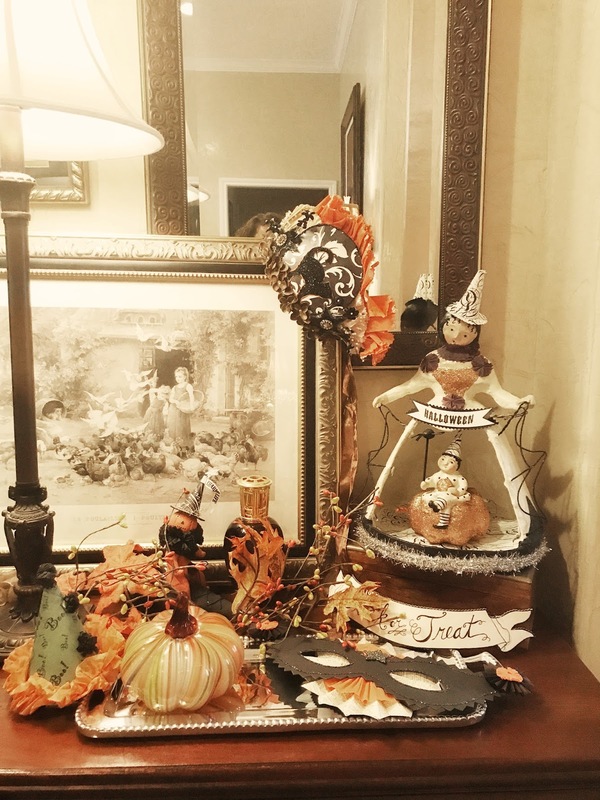 Ghost and goblins are already lurking around each corner of this festive home! Pumpkins are tucked here and there, lanterns are adorned with Fall colors, and leaves and acorns are trailing off of the mantle in the living room. 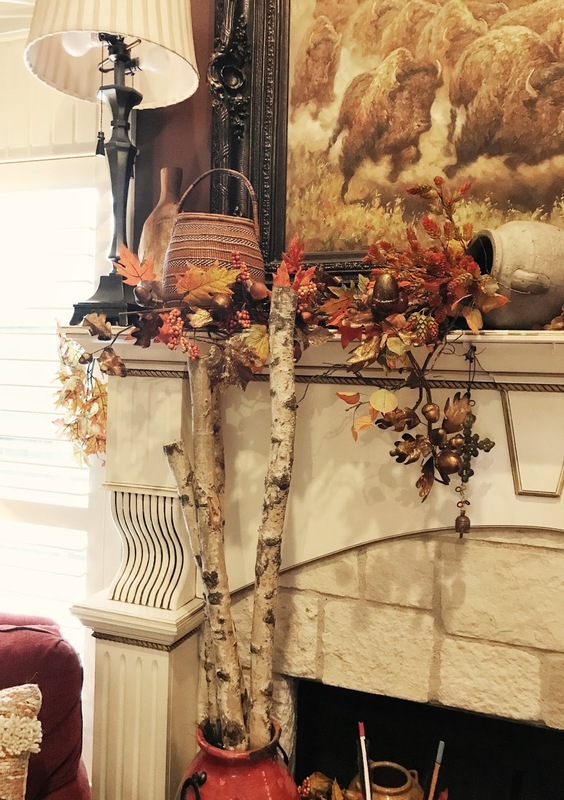 This teacher loves each season and likes to anticipate Fall early to start off her school year . Who wouldn't like to come home from a school day with bright yellow sunflowers and a warm seasonal home to greet you! She loves also to travel and collect wonderful items and finds for her home. 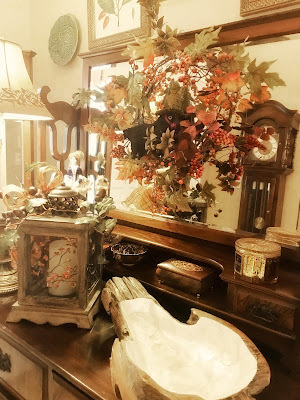 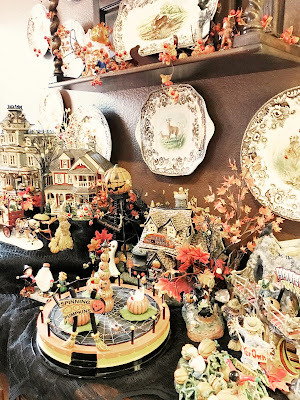 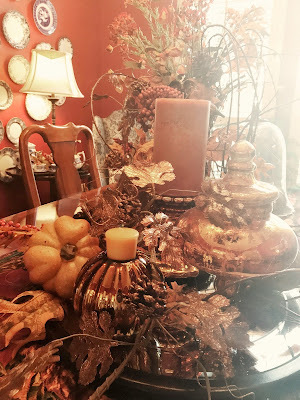 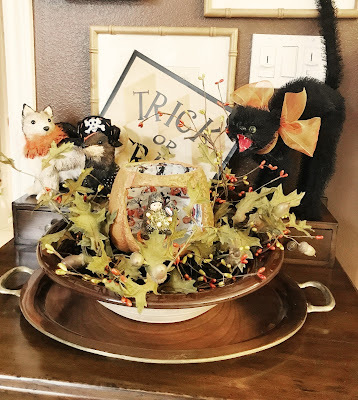 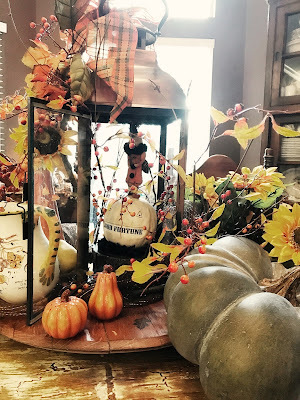 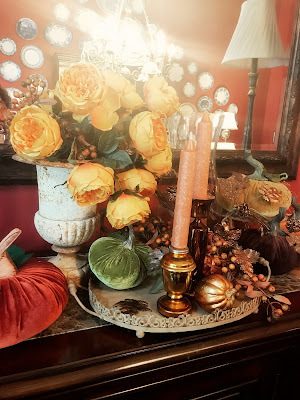 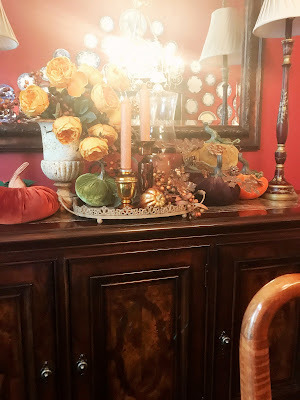 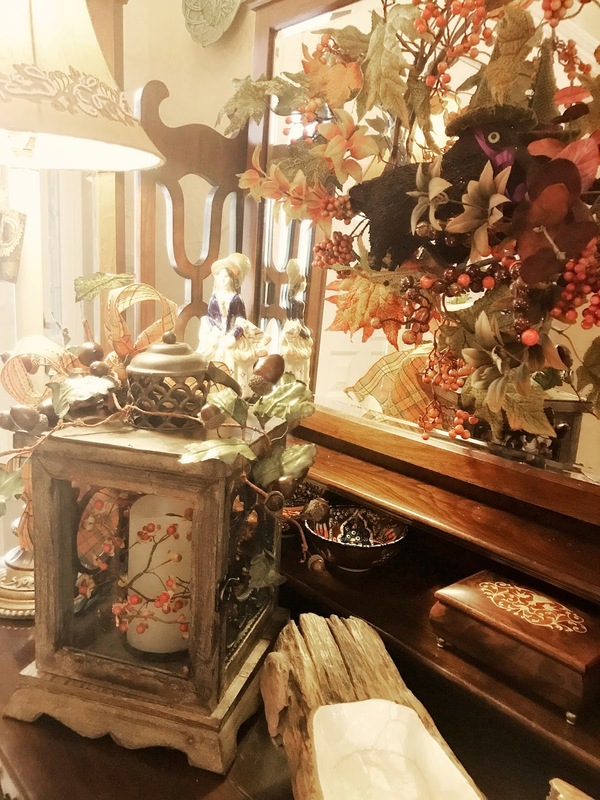 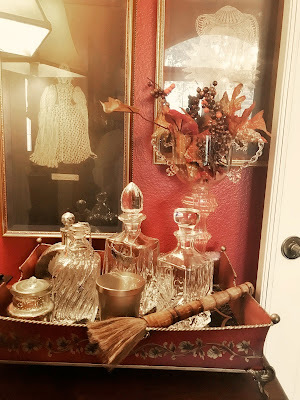 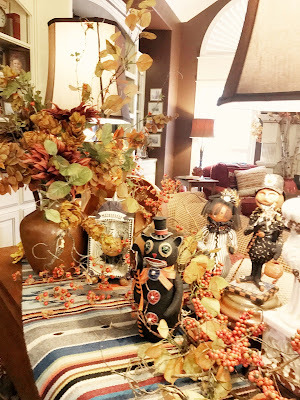 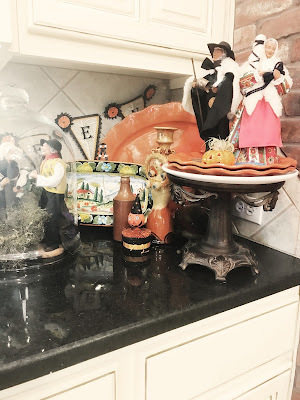 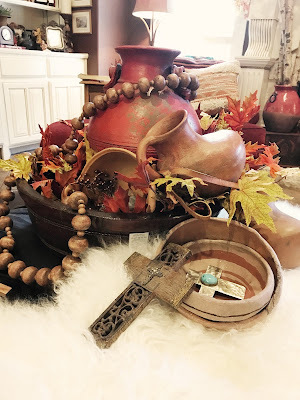 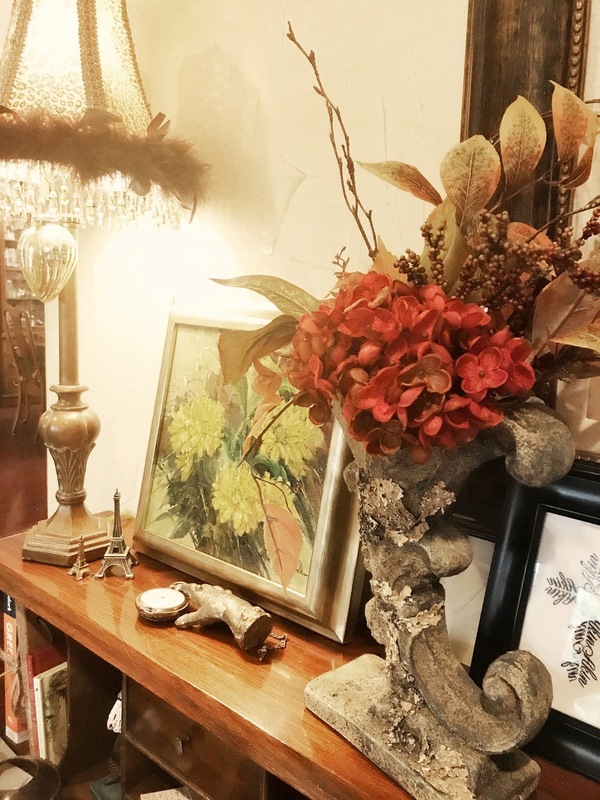 What a wonderful home and how fun it was to put a Fall touch on it for the season ahead!